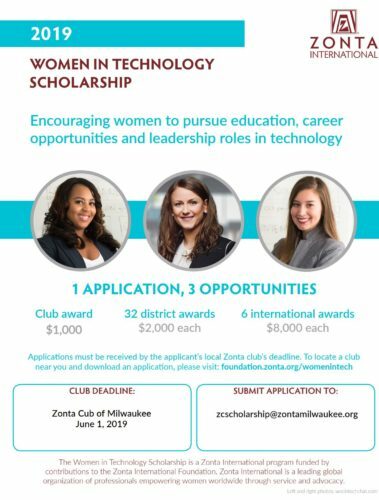 The Zonta Club of Milwaukee offers three college scholarship opportunities for young women and college students living in and/or attending accredited schools in southeastern Wisconsin including: Milwaukee, Waukesha, Ozaukee, Washington, Racine and Kenosha counties. A brief overview of each of these scholarships is presented below with links to their respective applications. Women pursuing a business program with major field of specialization in accounting, finance, business management, marketing, operations management, human resources management, international business, or entrepreneurship at an accredited university/college/institute, who demonstrate outstanding potential in the field, are eligible to compete in this tri-level (club/district/international) scholarship competition. Online students are eligible to apply if enrolled at an accredited university/college/institute. In addition, Zonta Club of Milwaukee applicants must either: (1) have legal residency in the six-county Greater Milwaukee Metro area while attending any accredited university, college or institute in the world or (2) be a full-time, out-of-state student attending an accredited university, college or institute in Milwaukee, Waukesha, Washington, Ozaukee, Racine, or Kenosha counties. 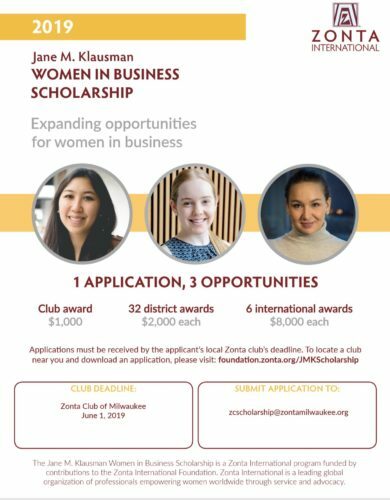 The Zonta Club of Milwaukee awards a $1,000 scholarship and forwards the winner’s application to Zonta District 6 for consideration for an additional $2,000 scholarship. The district winner’s application is sent to Zonta International for consideration for one of the six $8,000 international scholarships. The 2019 JMK Women in Business application is available now. Completed 2019 applications are due on or before June 1, 2019. The PDF application can be found here. Zonta Club of Milwaukee applicants must either: (1) have legal residency in the six-county Greater Milwaukee Metro area while attending any accredited university, college or institute in the world or (2) be a full-time, out-of-state student attending an accredited university, college or institute in Milwaukee, Waukesha, Washington, Ozaukee, Racine, or Kenosha counties. 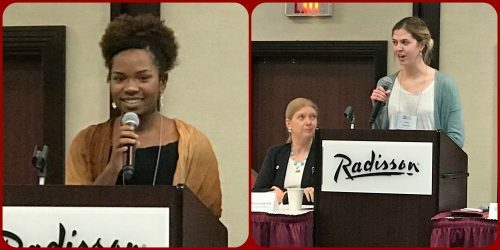 The Zonta Club of Milwaukee awards a $1,000 scholarship and forwards the winner’s application to Zonta District 6 to be considered for the $2,000 district award. 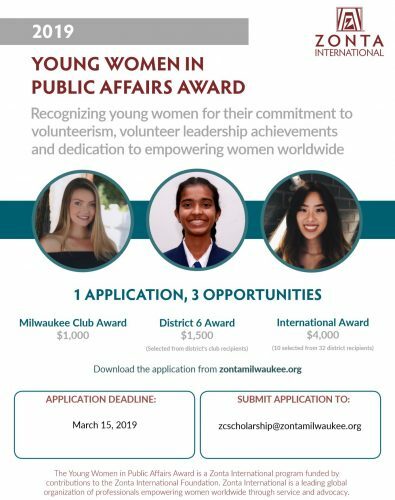 The district winner’s application is then sent to Zonta International, which presents six $8,000 international scholarships. The 2019 Women in Technology application is available now. Completed 2019 applications are due on or before June 1, 2019. The PDF application can be found here. Applicants must have an outstanding academic record, demonstrate intent to complete their chosen program, and show outstanding potential in their chosen field. In addition, applicants must either: (1) have legal residency in the six-county Greater Milwaukee Metro area while attending any accredited university, college or institute in the world or (2) be a full-time, out-of-state student attending an accredited university, college or institute in Milwaukee, Waukesha, Washington, Ozaukee, Racine, or Kenosha counties. The 2019 Women in STEM application is now available. Completed 2019 applications are due on or before June 15, 2019. The MS Word application can be found here. 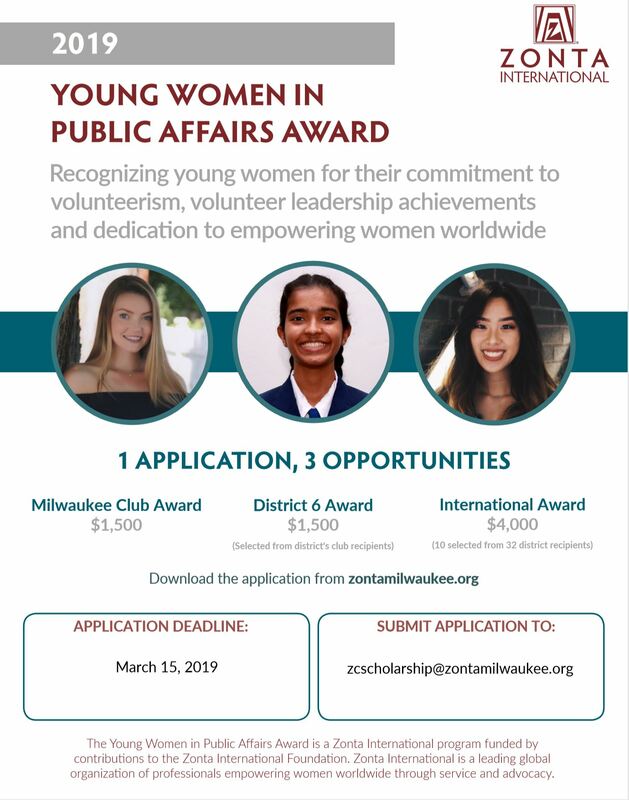 The 2019 Young Women in Public Affairs Award application is available now. Completed applications are due on or before March 15, 2019. The PDF application can be found here.